This is the second post by David Baboulene, a Story Development Consultant. He is also the author of The Story Book. Since first being published in 2002, David has produced two humorous books, two children’s books and an academic work on story principles. David has also had three film productions deals, two in Hollywood and one in the UK and has worked as a story consultant for film-makers, authors and script development and training organisations. He has worked with some big names including providing story consultancy for Marion Pilowsky (Producer Sleuth; Little Fish; Being Julia) and Janette Innes (writer/producer The Ghost Walker; Rain). David is giving seminars on story principles throughout the UK and in Los Angeles in 2011 in collaboration with The Script Factory, Euroscript and other partner companies. 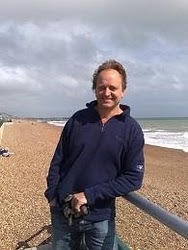 David writes extensively on his subject, including his monthly column in Writing Magazine and Writers' News. He lives in sunny Brighton in the UK with his wife and four children. All of the greatest stories have a single common framework element that defines the story, and that is Character Growth and Learning. At least one character - normally but not necessarily the protagonist - will be challenged by story events to learn and grow through the experiences they go through in living out the story. In a happy ending, the character will rise to the challenge, negotiate and successfully change and develop and grow. In a tragedy they may fail to learn the lessons. In an ironic ending, they may learn the lessons, and die in the process, but they do so for the benefit of humankind. It doesn’t matter, as long as the lessons are evident to the audience, who understand the importance of the character’s success or failure. What do we mean by life lessons? Well, in stories that resonate strongly, these are the experiences through which the protagonist advances their human status and prospects and those of their genetic line. If, for example, a player journeys from rags to riches, or from weak to strong, vulnerable to safe, hopeless to belief, ignorance to knowledge, single to coupled, starving to fed, unable to able, sick to well, ugly to beautiful - anything at all - any progress along what would generally be considered positive social advancement resonates well with readers and viewers. Let’s look at an example. The surface story of Back to the Future shows a protagonist dealing with events that bear no obvious relationship to the psycho-social issues above, but we don’t have to dig too far beneath the surface to find that the underlying power lies exactly here. Across the full arc of the story, what measurable changes take place in the protagonist’s life? Well, Marty McFly begins in a family comprising a mother who drinks Vodka at the dining table, a weak and subservient father being bullied by his peers, an overweight sister who can’t get a boyfriend, and a brother working in a fast-food joint. They live in run-down conditions and are going nowhere in life. Look at the human/life values in the frame: At the basic levels, we see drinking and obesity – threats to health. The family is bullied by Biff Tannen, so economic security and ‘freedom from threat’ are under the cosh. The sister ‘can’t get a boyfriend’ – the chances of high quality genes propagating to the next generation are low and she is unfulfilled at the level of ‘love’ and ‘acceptance’. The father George is weak and riddled with self-doubt. Even Marty lacks self esteem (he doubts his musical ability). Even the time travel itself – the main adventure plot line – is presented as a threat, not simply because of its inherent dangers, but because it puts the future of the McFly gene pool in jeopardy. Marty and his siblings are being wiped out by his interference in past events. It is these fundamental human values that resonate with us as an audience. By the end of the story what has changed? Marty’s journey, his experience and the actions he has taken mean that the family as a whole has climbed up a level of social achievement. All aspects of the home exude prestige and fulfillment. All the family members are healthy and slim. The parents are back from the country club where they’ve been playing golf; they radiate love, affection, togetherness and contentment. The house and cars ooze status and achievement. Biff has been subdued and is forced into subservience by an assertive and fulfilled father (his first book is published – a clear symbol of fulfillment if ever there was one!). The sister is fighting off multiple boyfriends. The brother is smartly and proudly heading off to his office profession. Marty gets the girl, thereby securing the next generation (indeed, we meet their kids in the sequel). The dragon is slain by the brave knight who ends the story in a luxurious kingdom and in the arms of his adoring princess. And the key moment that causes all these life changes? That single scene in which George is forced into making a key decision under pressure. Fight or flee... He overcomes his weakness, makes a fist... and lays Biff out with one punch. George had a life challenge - he changed and he grew - and his world improved for that. These are the factors that make this story a massive winner, not the time travel or the De Lorean or the crazy scientist and the rest of it. Character Growth and Learning is what resonates with a human audience. We have only scratched the surface here. Do please feel free to contact me and I will be delighted to send you a chapter from The Story Book going into more detail on this or any other aspect of what gives a story a beating heart. Best of luck with your stories! Giveaway winners: Rahma and Tony Benson. Please send me your email id with your preferences; whether you would prefer the Ebook format or the Kindle format of The Story Book. Thanks, David for the two informative posts and the prizes. And thank you everyone for participating. As none of my students had written anything longer than an essay as a part of their school and college assignments, I was curious to read their short stories after I taught them the finer nuances of a short story. I wanted to see how they handled longer writing assignments. The longest was a 10 page one, and the shortest a three page one. Practically all of them did justice to their stories. Though they enjoyed the short stories, none of them wanted to venture into WIP territory as yet. A WIP can be a daunting prospect for a novice writer. I thought it better that they work on shorter writing assignments. The WIP was left for the Advance Creating Writing Course which they all would join after this academic year ends in March. The girls were content with getting few pointers from me on how to keep a reader’s interest high while tackling longer stories. As I did not want them to be burdened down with the technicalities and complicated terms, I simplified the process for them. Awaken Interest. Chapter beginnings are the place to awaken a reader’s interest. Right in the beginning of a chapter pique the reader’s interest and curiousity. Avoid Ending a chapter by resolving a plotline. This will make it difficult to put the book down at the end of a chapter. Constantly surprise the readers Their reaction should be “Gosh, I did not expect this.” Let them wait eagerly for the next surprise. Avoid the predictable. Deliberately tread the untrodden path and go the unpredictable trek while generating a scene conflict and scene resolution. Don’t satisfy a reader’s curiousity immediately. Make it a treasure hunt, one by one, the curiousity factor can be sated. On and Off, Spook the readers out of their lethargy. Throw in a few well meaning shocks: the kind that send tingles scurrying up and down the reader’s spine. Constantly remind the reader of the protagonist’s problem. Warn of the repercussions if the protagonist’s problem is not solved. This is the hook that will keep the reader glued to the pages. Be like a mother constantly reminding and warning a child. Try to End chapters with questions. This is a sure fire way to ensure that the reader will turn to the next chapter to read the answers. Be mysterious, keep few secrets till the end, so that the reader is forced to follow you chapter after chapter, till the last page. Don’t answer the readers’ questions all at once. Tease, tantalize and torment them by answering the questions one by one at the convenience of the plot. Make the reader keep returning for more answers. Would you like to share any tips that you are familiar with to enhance a WIP? How do you sustain a reader’s interest in a long book? What are the tricks you all use to keep a reader hooked and glued to the story till the last page? Guest Posts and Giveaway. Today is the first anniversary of my blog. 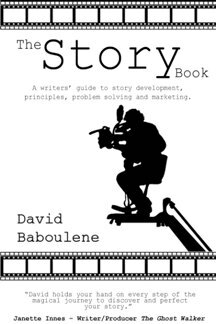 Don't forget to tune in on 25th March and 29th March for two guest posts by David Baboulene, Author of The Story Book, and a giveaway where two copies of this amazing book will be given to two lucky winners. I don’t spend much time brainstorming my stories. I start writing the outline or the working synopsis the moment I feel the need to do so. But, the story has been buzzing around in my mind for several weeks, maybe even months, taking shape and growing bigger. Its not like I get an idea in the morning and by afternoon I have decided that it will be my current WIP. 1. Protagonist. We can work on creating unique characters, perhaps giving them a distinct personality or traits, or even a quaint way of talking or a different way of dressing. Not just unusual but even individualistic and strong protagonists go a long way in helping stories. The protagonist can have unheard of hobbies ( like collecting lizard’s tails, wings of a butterfly) habits, interests, their choice of a career can be off the beaten track, they can have weird friends and fetishes, they can suffer from strange physical or psychological maladies, or they can have social inhibitions that prevent them from forging strong relationships and friendships. 2. Setting. An original and unusual setting will go far in interesting and hooking readers. There are several things we can add to settings: strange people, customs, habits, food, fauna and flora, rituals, way of talking and dressing, way of communicating. What has not been seen before will make for great hooks where settings are concerned. 3. Antagonist. The amount of attention we pay to the protagonist, atleast half the amount should be paid to the Antagonist, as he/she drives the conflict and provides tension. The antagonist should be given a literary makeover: he can be different from the antagonist haunting every other book. We should strive to create strong antagonists who are powerful enough to attract the reader’s eyeballs. We can give the antagonist plenty of qualities that will make him/her stand out: a sensory highlight where one of the senses is more powerful than the others, a cruel streak, a revengeful nature, a petty way of thinking or getting even, or a funny sense of humor. Maybe we can make them a megalomaniac or a kleptomaniac. 4. Conflict. This is where we have the reader caught and ensnared. A gripping conflict will ensure that a reader’s attention does not constantly waver. Conflicts requires a lot of effort. We can try and make them unique and add obstacles and problems like sadists. For a truly engaging conflict we have to get merciless. 5. Resolution. Happy Endings are extremely important to give readers a sense of redemption. We can twist this by making endings happy but unexpected: the protagonist has reached his or her destination in an extremely unstereotypical fashion. The reader should be literally taken not just by surprise but also be rendered a pleasant shock at the way the story has been resolved. This is what I plan to do for my next manuscript. I hope to spend few days brainstorming. How do you all work on a story? Do you all just plunge into writing the outline or do you all work on individual bits? We would love to learn brainstorming tips from you all? Every profession comes with its set of rules, or shall I say inbuilt traits that are a pre-requisite for those pursuing the profession. It’s these traits and a person’s ability to put them into practice that determines how fast the road to success is traveled. For writers the 3D’s are of paramount importance. Dedication. We must approach our writing like a devotee approaches God. Writing is ofcourse our religion. Something we wholeheartedly believe in. It defines us and becomes our identity. Its when our dedication slips, due to another D: distraction, that what we usually enjoy becomes a chore, a burden. I have several times been undedicated, due to the other D (distraction) taking precedence. During those times I have written my worst stuff. To keep the dedication level high we have to constantly visualize our goal: the completed manuscript. Maybe if our visualization is strong, we can even envision people holding our books and reading them. Determination. This trait singlehandedly ensures that we reach the finish line holding a complete manuscript: edited and polished. Many times I have seen several writers give up halfway because they were not determined enough. This is one of the biggest tragedies of a writer’s life. I have several manuscripts in various stages of completion lying in my drawer. I was not determined enough to see them through to the final stage. With the slackening of determination, our enthusiasm wanes and we see a drop in our creativity. To keep determination high we have to self motivate ourselves that we owe it, not just to ourselves, but to everyone around us to complete the stories that our muses have been generous with. We owe it to everyone: our family, friends, fellow writers and readers to tell the stories in the best possible way. When we take on the mantle of a writer, it becomes our duty to live upto that name. Devotion. This trait that we are writing because God wants us to, actually we are just taking down dictation from a higher source, sees us re-infused with a fresh bout of enthusiasm. If we approach writing with an attitude of doing a prayer, our entire being will conspire to aid us in finishing it. Valuable pockets of time will suddenly be available to us, our muse will be at our beck and call. We will also be blessed with those moments of insights that will clear troublesome plot hurdles as God ensures his devotees somehow manage to finish the work he has entrusted them with. We should treat our writing as though its a flower we are offering God. What about you all my wonderful writing friends? Have you at any time felt a decrease in any of the D’s. How do you cope with waning enthusiasm? How do you approach your writing? What keeps you motivated day in and day out. Please share as we all can learn from each other. As children we were told by our parents that we must read books, in the hope that reading would increase our knowledge and improve our language and keep us busy for hours on end. This often gave parents the much needed breathing space as their children were immersed in the world of words. As we grew up, our teachers, both in school and college constantly urged us to read, so that our vocabulary, grammar, language and knowledge increased. When we took up the writing profession we voluntarily turned readers. Reading for us is one of the most pleasurable activities. It’s our passion that is second to our first passion: writing. I can say this with conviction, that for most of us writers we can disappear in a bookshop or a library for hours. By reading we get acquainted with diverse cultures and traditions, get familiar with places we have not visited or haven’t even heard of, hear about professions unknown to us, and meet people we would not have met in real life. In this post I will share what is on my current reading list. These are the books which will keep me busy this month. What about you all? What is on your reading list? Please share the list with us. We all would love to know what’s keeping you engrossed. I came across few of these tips for writers writing for children, in the college library while researching for a project. Finding them quite helpful, I decided to share them with everyone, after adding few that I thought every children's writer must keep in mind. 1. The writer must feel at ease with children and have a child like quality in his/her own nature. 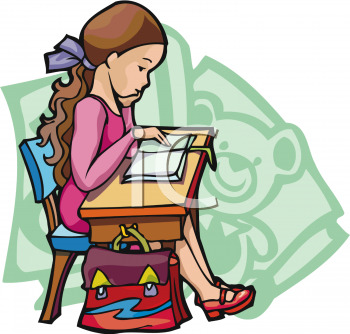 This will ascertain that the writer will create a character who will appeal to the child. 2. The writer should be closely in touch with youngsters of today, because however clearly we can recall our own childhood, things are different now. This will ensure a contemporary set of problems which a child can identify with. The writer can also find out what makes children happy and what triggers sadness in them. 3. The writer should visit children’s department of bookshops and libraries, study the length, format and subject matter of books which are popular and those most frequently bought and borrowed. In this way we can be aware of the current trends and favourites. 4. The writer should read childrens’ favourite authors and find out what it is that makes the books appealing. This research will help in becoming aware of why a particular book/character/story has more appeal than another. 5. Successful writers never talk down to readers, the slightest hint of patronizing or a moralizing approach will ruin all chances of success. Children are extremely smart, they know when they are being manipulated and injected with morals. 6. It is important to keep the action going in the book. There should be excitement on every page. Movement and color are keywords for children’s fiction and the story must be presented in such a way that it will grip the attention on the very first page and hold it till the last. 7. It should have short sentences, paragraphs and short chapters. 8. Time and place must be unmistakable and characters clearly defined. 11. Humor is important. Sarcasm does not sit well with children. 12. Children prefer happy endings. The young hero or heroine has to emerge victorious at the end, come what may. 13. There should be plenty of dialogues. Slangs should be avoided as they will date. What is a slang now, may hold no meaning later. 14. Children don’t mind either a first person or a third person narrative, as long as it’s a good story and they can relate to the main character. 15. Descriptions should be kept to the minimum and it should be introduced in small doses, interspersed with lots of action and dialogue. 16. Children love slapstick and revel in the downfall of unpleasant people in authority. problems they face in day to day life. glimpse of his/her thought process. I found the tips extremely helpful. Anything that helps us to write better and understand the mindset of our target readers is as valuable as gold. 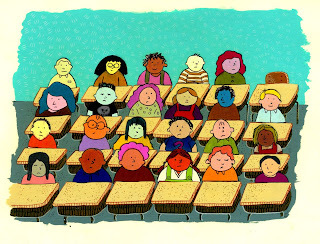 Do you all have any tips to share on how to write for children, or how to write for a specific audience? Do you research about the reader’s taste? As I am inching closer to the first anniversary of my blog (in the third week of March), I am overcome with nostalgia. Last year, around this time, two of my closest writing friends: Lia Keyes and Elizabeth Varadan, both of whom I had met online, had spent the better part of January and February in trying to convince me to start blogging. All my arguments were brushed aside by the two determined ladies. “What will I blog about?” I had asked them. “You will find the topics they assured me.” “I won’t be good at it?” I had argued. “You will,” they said firmly. They even helped me select the name from the list I sent them, so that I did not procrastinate with the excuse that I was unable to come up with a decent blog name. They were also my first two followers. Its going to be a year soon and I can sum up my blogging experience in four words “I am loving it.” Not only have I connected with all of you wonderful people (who I would never have met if I had not jumped onto blogosphere), I have also had the opportunity of learning from each and every one of you. From how to brainstorm story ideas to plot structures, to character arcs to sub-plots, to editing and revisions, you all have helped me along the writing path by literally holding my hand online. I have also learnt that blogging is not just about self promotion, or building a platform, its about making genuine connections with a fraternity who understands my journey: the ups and downs, and is actually walking beside me nodding in agreement. Blogging is not just about me, it’s about US: celebrating the completion of each other’s manuscripts, crying with writing friends when they meet with rejections and dancing in celebration at acceptances and spreading the word around when our friends' books hit the shelves. It’s about bursting online fireworks when we cannot be physically present at each other’s book launches. Its about promoting writers who we now consider good friends, even though we have never met and have only seen each other’s profile pictures and read each other’s profiles. These online connections have now become an important part of our lives. 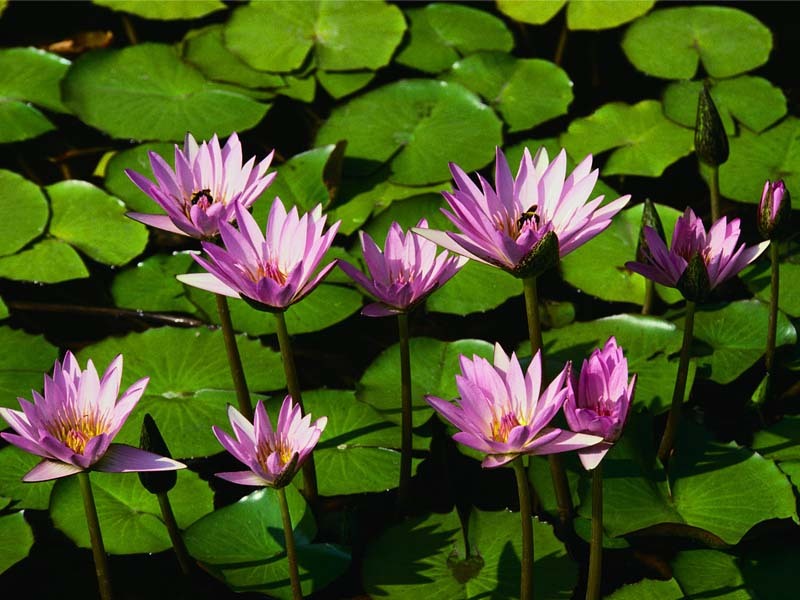 We look forward to meeting each other online, via blog visits and comments. This is our conversation with other writers who we are not able to meet personally. Here is hoping that I get to meet you all sometime in life (I am actually looking forward to it.) Hugs to each and everyone of you for becoming a part of my writing life. To celebrate my blogging anniversary, I will be hosting two guest posts and a giveaway on 25 th March. 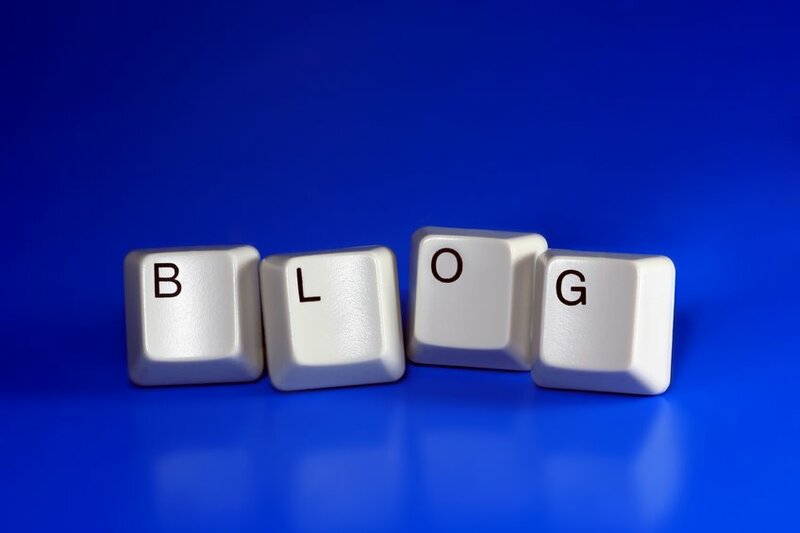 I am sure we all are interested to know what has blogging taught everyone? 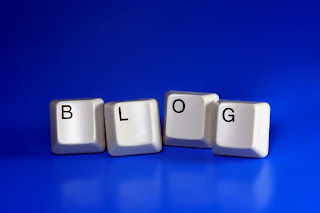 We all would love to hear your sound bites on blogging. Last year I had the pleasure of reviewing few books that were self published by the authors. 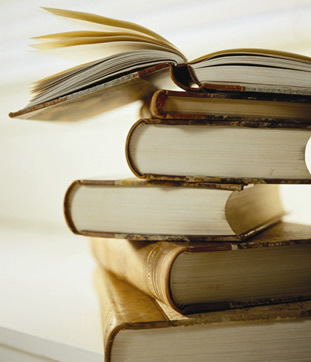 Reading the books changed my perception of self publishing. My initial view was that books that were turned down by publishers were self published by the authors who were unable to wait for the long time it took to encounter a publisher willing to invest time, money and energy on them. I was also under the impression that self published books would not be of a good quality, both in the literary sense : plot, character, grammar, and story line and that the quality of the books: paper, printing and book covers would not be good. The books I reviewed were of a superior quality in each and every way. As a reviewer, I did find few mistakes in the plot structure of one book and felt that the author had been in a hurry to end it, and the length of the other book was too long. Perhaps as writers we tend to get too harsh and critical, not just of other writer’s books, but also of our own. I did wonder why editors of publishing houses had turned them down. The books were good. With a little bit of rewriting and editing the books would have been great. I indulged in a bit of pop analysis to uncover the reason why both the books missed the traditional publishing bus. One thing I realized is that it’s next to impossible for publishers to publish every book that lands at their doorstep. Many times they have to turn down books that they like, because they feel there will be no market for such books, or they have done similar books earlier, or the book is ahead of its time. In such scenarios the authors have no other option but to self-publish. I am not sure if I am right in my suggestions. But here they are. I feel the first and foremost thing someone taking the self published route should invest in is few critique partners who can catch the initial knots in the story and help shape it up with critical and valuable feedback. After the final rewrite the author opting for the self published route should invest in a professional edit. A professional editor will catch all the mistakes that crop up in the plot structure which the editor of a traditional publishing house would normally have done.. He or she can spot the weak links in the story and pay detailed attention to character growth and help tighten the plot. The editor will also take care of grammar, punctuation and tense. This is just my amateur analysis, I am no expert. I now have only admiration for self published authors who choose to take the difficult route to publishing. These authors have so much faith in their stories that they are willing to shoulder the burden of editing, publishing and marketing onto their own shoulders. What about you all? What do you think of self publishing? Any advice you would give to authors seeking that route? Would you opt for it? Please share your views and feelings on self publishing.